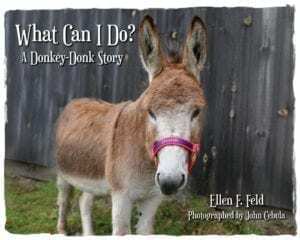 Award-winning author Ellen Feld began writing about horses more than 20 years ago. At first she wrote for small, regional publications, but within a few short years, her work began to appear regularly in large, national magazines. In 2001, while waiting for her next assignment, Ms. Feld wrote a short story about a Morgan. 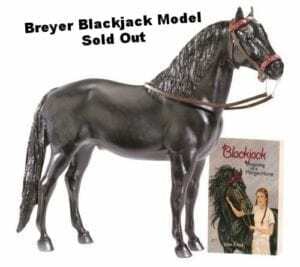 That tale became the first chapter of Blackjack: Dreaming of a Morgan Horse. The book went on to win a coveted Children's Choices award, an honor bestowed jointly by the International Reading Association and the Children's Book Council. To date, Ms. Feld has authored twelve books, including seven in the Morgan Horse series. 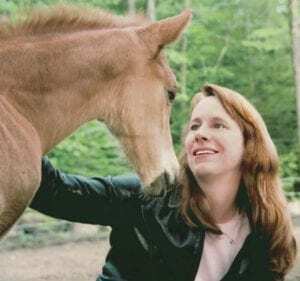 She lives in Massachusetts with her husband, two children, a small herd of horses, and assorted other pets. Visit Willow Bend Publishing to learn more about all of Ellen Feld's books. "Mrs. Feld has a true gift in capturing the imagination and engaging the reader. It isn't always easy to find a set of books that will be read willingly by pre-teens! 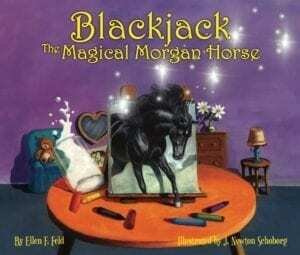 Kudos to Mrs. Feld on her delightful Morgan Horse Series." "I can totally see why this author has won so many awards. A very gifted writer who knows not just children well, but horses too, and the passion that makes us all so in love with everything horse. Highly recommended." "I thoroughly enjoyed Frosty, and, after staying up half the night to finish it, would recommend it to horse lovers of all ages." "Annie is more than just a story about winning show competitions for horses. It’s about how to bond with and treat horses, any animal for that matter, and how that brings out the best in all involved. Even if you’ve never ridden a horse, you’ll wind up wanting to try after reading this sensitive and tender novel. Exquisite! Wonderful!" "Feld gets you off to a fast start, then forces you to manage your pace. It's hard not to race ahead, but she is a master of her craft and will keep you reading and, when it's over, wanting more." 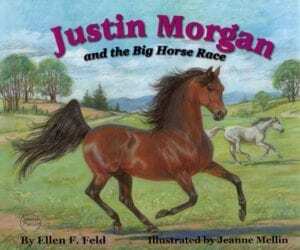 "Justin Morgan and the Big Horse Race is truly a gem. The story was endearing, and the colorful drawings are spectacular." "Ellen Feld is a talented, creative, artistic writer who clearly loves her topic of horses, has clearly earned the prestige of awards given by the International Reading Association, and is eager to share her passion with eager readers who will be waiting for her next novel in this series. Absolutely delightful, Ellen Feld!" 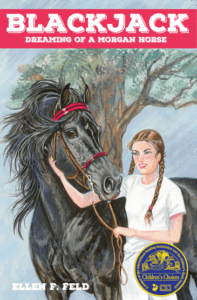 "The latest installment from Ellen Feld's award-winning Morgan Horse series, Shadow: The Curious Morgan Horse, has arrived! Lavishly illustrated with 21 full-color pictures, this hardcover edition is designed to excite and charm young horse-loving readers." "Popular children's author Ellen Feld has given kids another reason to turn off the TV and pick up a book. The story of Shadow is a heart-warming tale of an inquisitive foal who wanders into the woods beyond her pasture...Bottom line: Beyond a "Shadow" of a doubt, this is a great book."